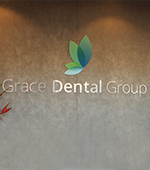 At Grace Dental Group, we provide a wide variety of treatments for you and your family. Regular check up and cleans are necessary to maintain a healthy mouth! It not only helps prevent oral health issues, but also allows the early detection of health concerns. Brushing with your toothbrush and flossing is a great way to keep your teeth clean, however, there are always those hard to reach places where plaque and tartar can build up over time. If left unremoved, then this can cause gum disease and tooth decay. That’s why it’s so important to attend your regular 6 monthly check up and clean appointments. 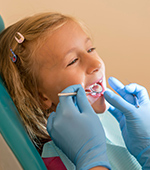 These appointments not only keep your teeth and gums clean and fresh, but it allows the dentist to pick up on early dental concerns, before it becomes a larger issue later down the track. Fillings are used to treat tooth decay as well as restoration of damaged teeth to repair their overall function and appearance. This is a very common procedure and can be done in the one appointment. Tooth coloured fillings can also be used to replace old, unsightly silver fillings. If you are experiencing sore or sensitive teeth, it may be that you require a filling. 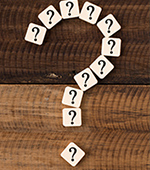 It is better to get dental concerns such as these examined as soon as possible, as leaving it untreated/unexamined can result in a larger, more serious problem down the track. Your gums are vital to your overall oral health, as gum issues can affect the supporting structures for your teeth. Did you know that gum disease is the leading cause of tooth loss in Australia? Gum disease is usually caused by poor oral hygiene, leading to a build-up of plaque and bacteria. The build-up encourages bacteria to grow and spread, eventually causing the body to have an inflammatory response. This causes your gums to swell and become red, and they may bleed when brushing (this is an early indicator of gum disease). Many other health issues such as heart disease, stroke, diabetes and even lung disease has been linked to gum disease through research, so it’s vital to maintain good oral health and hygiene through regular check-up and cleans. Crowns are a great option for repairing broken down, chipped and damaged teeth. This is a strong and long-lasting option to repair broken down teeth. 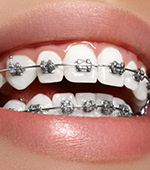 It works by covering the broken teeth to provide strength and preservation of the tooth underneath. The crown will look like a completely normal tooth and will match the surrounding teeth to create a balanced smile. Crowned teeth are very strong and will allow the tooth to have its function completely restored. This means that you will be able to bite and chew as normal, without any pain or risk of further damage to the already damaged tooth. 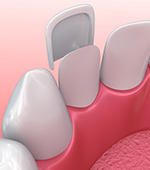 Dental bridges are a good treatment option for missing tooth/teeth. This treatment is only suitable if you still have some natural teeth and the teeth are in good health. The bridge works to cover missing teeth by bridging the gap left by one or more missing teeth, and are custom made in order to fit your mouth. They will be shaped and coloured according to your natural teeth to create a seamless and well-constructed bridge that not only looks great but feels natural and comfortable. 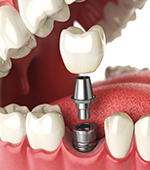 These are different to dentures as they are not a removable appliance, they will be fixed permanently in place. A toothache doesn’t necessarily mean you need to have a tooth extracted! There are a variety of reasons as to why you might be experiencing a toothache. At your toothache appointment, the dentist will complete a thorough investigation and examination to get to the root of the problem. From there, they will be able to let you know what’s causing this pain and what is the best treatment option for you. If you are experiencing even the slightest of tooth pains, it’s best to have it examined as soon as possible to avoid the issue developing into something more major, such as a root canal or extraction. Sometimes a tooth may be too broken down and damaged to be repaired, and the only option left is extraction. More commonly than not, dental extractions are routine and can be completed in one in office visit, under local anaesthetic. You won’t require much down time and swelling is often minimal. 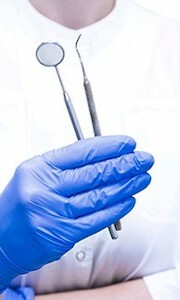 Depending on how the tooth is positioned, size, shape etc, you may require a surgical extraction. This can also be done in clinic and will also be treated under local anaesthetic. You may experience some swelling and may need a day or two downtime for surgical extractions. In rare cases, your extraction may require a referral to a specialist. 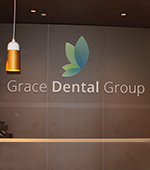 At Grace Dental Group, we only refer patients to the best specialists available, so you can rest assured that whether your treatment is done at our clinic or with a specialist, you’re in the best hands possible. Root canal treatment is required when the soft tissue inside the tooth canal becomes infected, causing severe tooth pain due to the spread of infection to the layers of nerves and blood vessels (called the pulp). This treatment involves removing the infected tissue, medicating inside the tooth and replacing it with a filling. This treatment will stop the pain and infection from spreading and can help save the tooth. 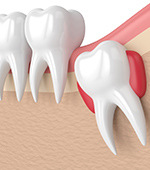 If the infection is left untreated and continues to spread, then the tooth may need to be extracted. Having regular dental assessments helps to pick up concerns and issues such as infection before they develop into more serious problems. 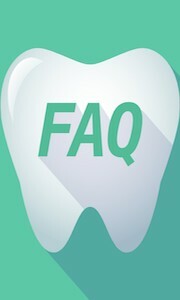 Another option of replacing missing teeth are dentures (also knows as false teeth). This a removable appliance that is custom designed so that they are as natural and undetectable as possible, whilst also being as comfortable as possible. Full or partial dentures can be used to replace missing teeth. If you only have a few missing teeth, the partial dentures would be the suitable option. If you have lost all your teeth, then full dentures will be the best way to go as it will also help fill out your appearance. Have you noticed pain, a clicking sound when you open and close your mouth, or your jaw locking? You may have a Temporomandibular Joint (TMJ) disorder. This is a common issue that almost 30% of adults experience at some point in their lives and can cause damage to your TMJ. This damage can be caused by teeth grinding or excessively clenching your jaw, both of which could happen unknowingly during your sleep! It may also be the result of undiagnosed sleep disorder such as sleep apnoea, which causes disturbances to your breathing during your sleep. Other symptoms of TMJ disorders may include headaches, neck and back pain and even dizziness or a ringing in your ears. You may have trouble or discomfort in your jaw muscles, such as when you are eating or yawning, and observe a clicking or popping sound when you move your jaw. If you feel you are experiencing any of these symptoms, book in at your earliest convenience for an appointment to have an assessment at our clinic. 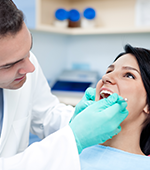 From there, the dentist will conduct a thorough evaluation and let you know what your best treatment option is. Are you happy with your teeth, but unhappy with the shade of them? You may benefit from our teeth whitening treatments! 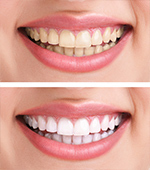 Keep in mind that teeth whitening is not suitable for all types of staining and discolouration. Whilst it won’t necessarily whiten discolouration on teeth caused by medication, drinks or tobacco (for example coffee stains) as these tend to cast grey, brown or black hues onto your teeth, it is a great treatment for brightening teeth that are yellow in colour. The dentist will assess your discolouration as well as the cause of it and inform you whether whitening treatment would be a suitable option for you to address your staining concerns. 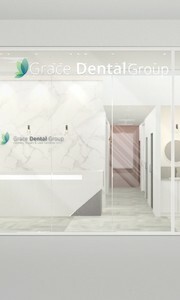 2019 Grace Dental Group. ALL rights reserved. Empowered by GNA.